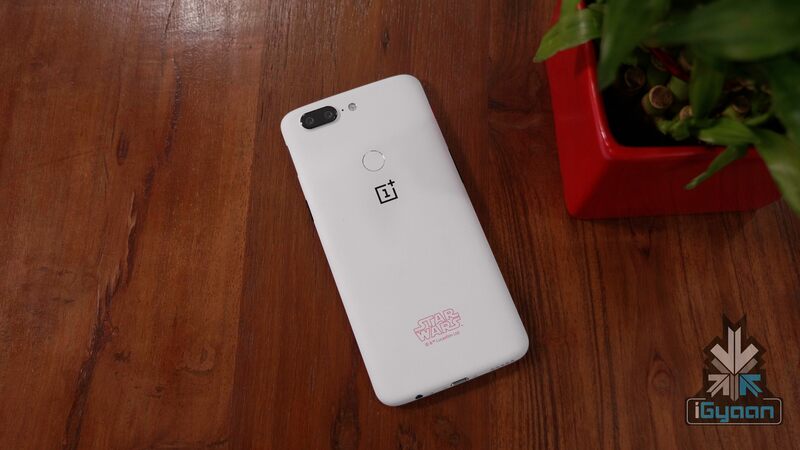 On December 14th, almost a month after launching the OnePlus 5T, OnePlus unveiled the OnePlus 5T Star Wars Edition. It was a limited edition smartphone in association with the Star Wars: The Last Jedi film. On May 17th, one day after globally launching the OnePlus 6 in London, the Chinese smartphone maker launched the OnePlus 6 Avengers Infinity War Edition in India. The limited edition smartphone is in association with the recently released Avengers: Infinity War film. The smartphone will be available in variant only, with 8GB RAM and 256GB storage. In India, the device will retail for Rs 44999 via Amazon from May 29th. The special edition smartphone will also come in a different style of box. 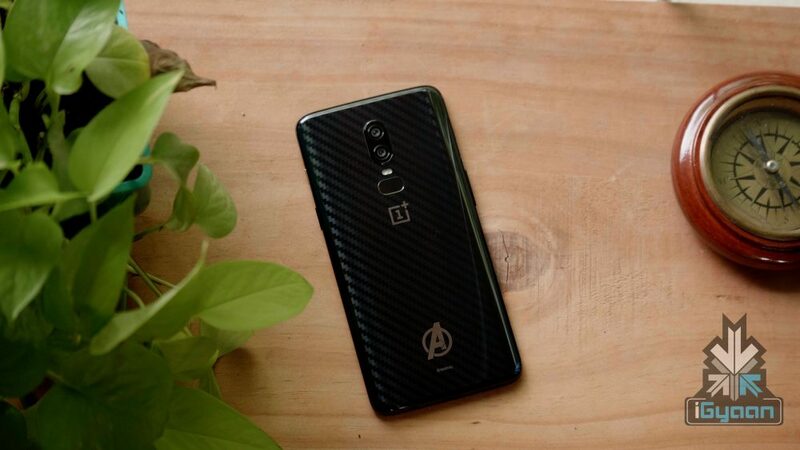 OnePlus has gone out of its way to make this smartphone a special buy for Marvel fanatics. Every OnePlus 6 Avengers Infinity War Edition will retail with a special Avengers case, in our package was an Iron Man case. Every retail box will also have a gold coloured medallion. The company has announced if you collect 6 medallions, there is a special prize in store for you. The company has, however, not announced what the prize will be. The build quality, specifications are exactly the same as the regular OnePlus 6. However, with the OnePlus 6 Avengers Infinity War Edition, the back of the device has a carbon fibre finish underneath the glass. This look is reminiscent of the Carbon Fibra back panel which was available for the OnePlus One and OnePlus 2. 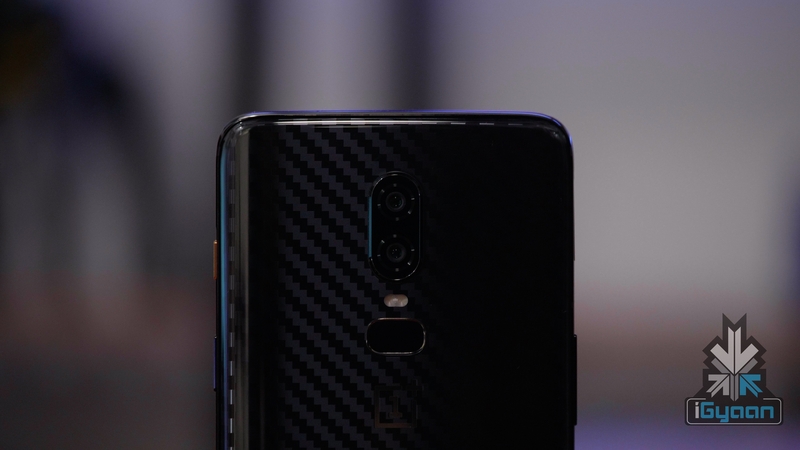 The OnePlus continued to sell a snap-on case for its other devices with the carbon fibre finish. 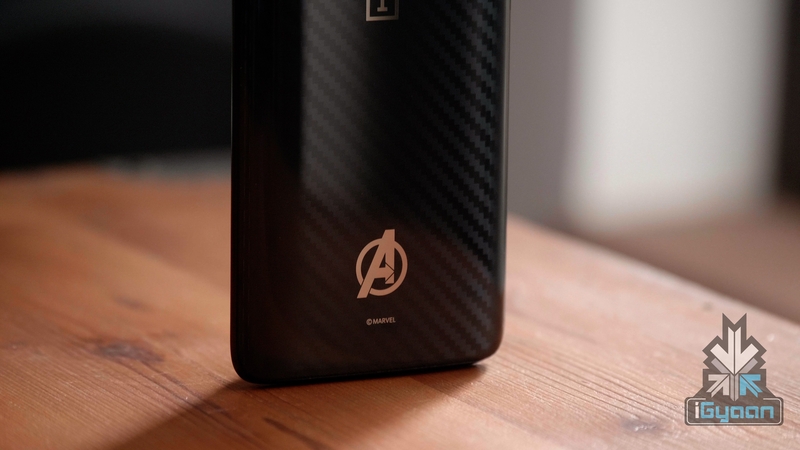 Like what OnePlus did with the OnePlus 5T Star Wars Edition, we expect the OnePlus 6 Carbon Fibre to be launched in other countries without the Avengers branding. It has a 6.28 inch Optic AMOLED display with a 2280 x 1080 px resolution. The aspect ratio is 19:9 which means it is slightly taller than the OnePlus 5T. 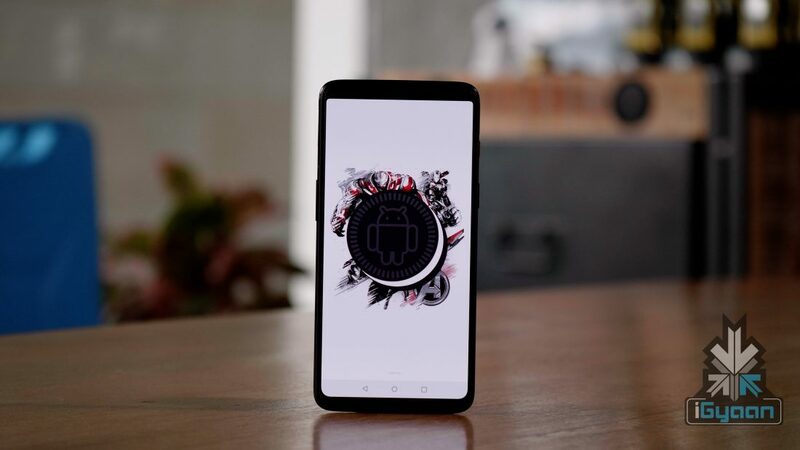 It runs on the Qualcomm Snapdragon 845 chipset which has an octa-core processor clocked at 2.8GHz. Coupled with the flagship chipset is 8GB of RAM and 256GB onboard storage. The storage is still not user-expandable just like every other OnePlus device. The fingerprint sensor is still placed on the rear but, it has a more oval shape this time around. Powering the device is a 3300 mAh battery with DashCharge support. DashCharge continues to be one of the fastest charging technologies and could be the reason why OnePlus did not think that wireless charging was necessary here. Out of the box, the OnePlus 6 will run Android 8.1 Oreo with OxygenOS on top. The smartphone will have gesture support which we tested on the OnePlus 5T during its Beta test. There is a special Avengers theme which is a dark theme with gold accents. There are also exclusive Avengers wallpapers pre-installed. It would have been really cool to have an Avengers font as well but, that is not available yet. The dual-camera setup on the back includes a 16MP Sony IMX 519 sensor and a 20MP Sony IMX 376K sensor. Both are RGB sensors and have an f/1.7 aperture with OIS, another first for a OnePlus device. The cameras also record 4K videos at 60fps which is a great feature for content creators. To the front of the smartphone is a 16MP Sony IMX 371 sensor with an f/2.0 aperture and EIS which records 1080P videos. The OnePlus Avengers Infinity War Edition is a collector’s dream and looks really good as well. It has the sturdiness of the OnePlus 6 and the carbon fibre underneath the glass gives it a distinguished look among the increasingly similar-looking flagship smartphones.